Florence has never forgiven Jane for the circumstances of her birth. She was an accident; the product of Jane's first and only one-night-stand, and Flo does not want to know how hard her teenage mother fought to keep her. When Flo's own, carefully planned, baby arrives, and her glossy, controlled world is turned upside down, for the first time in her life she turns to her mother for help. Holding her newborn grandson, Jane is suddenly overwhelmed by memories she's buried for decades of the tumultuous year when Flo was born: her parents' fury, the new freedoms of 1960s London passing her by, and the rash consequences of the overwhelming love for her child. Love and Other Secrets is a warm, wise and moving tale of the fierce bonds of motherhood. 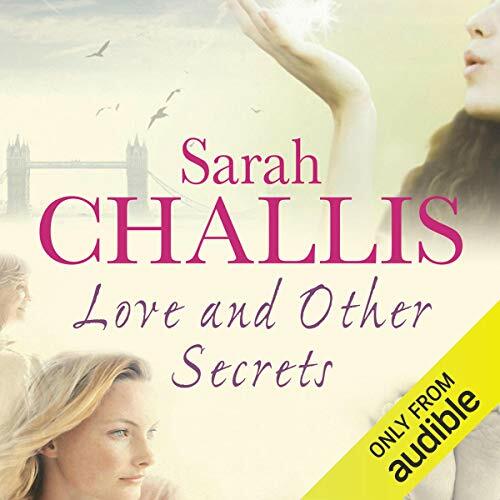 ©2009 Sarah Challis (P)2014 Audible, Inc. This is an easy read although the chapters were a little long for my liking. Portrays the relationship between mother and daughter comparing changes in different eras. I was very intrigued by the story line and wanted to know what happened next. However I felt that the secrets in the story were somewhat lacking in scandal. I liked how the story was told through shifts in time although at times it was not easy to follow the events in order. It didnt help that I kept falling asleep in the middle of chapters and had to review!